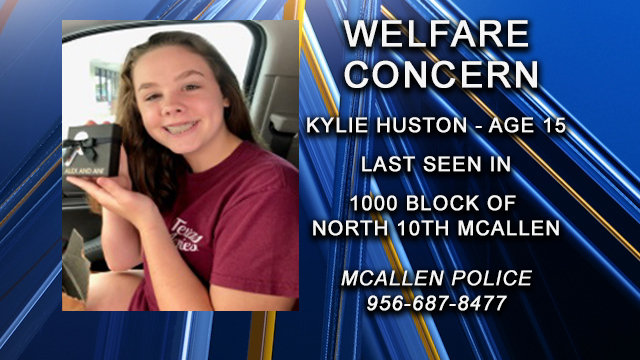 MCALLEN, Texas - The McAllen Police Department is searching for 15-year-old Kylie Huston. Her voluntary absence from her residence was reported to police on April 16, 2019. She was last seen in the area of the 1000 Block of North 10th Street in McAllen. If you know her whereabouts you are urged to call McAllen Crime Stoppers at 956-687-TIPS (8477).